Medicinal uses: The fruits and foliage yield essential oil for medicinally promote appetite and digestion and to relieve chest complaints, rheumatism, and flatulence. 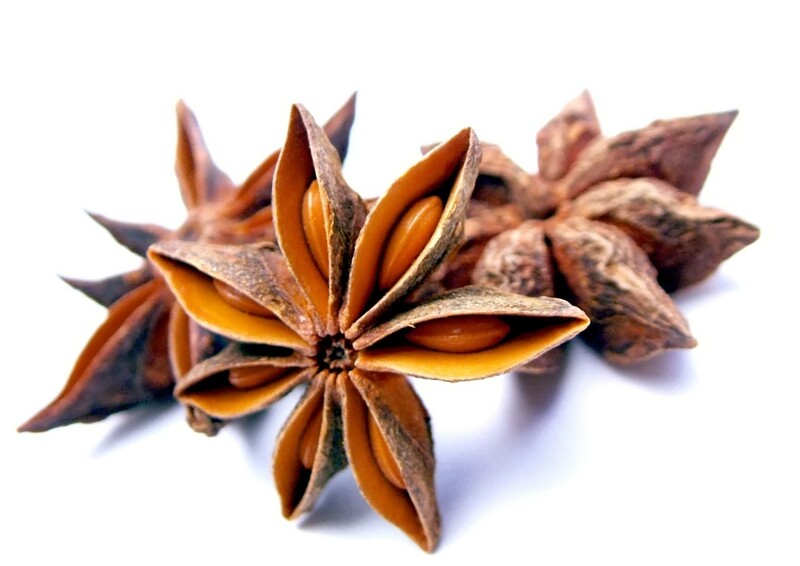 Japanese Star Anise (Illicium anisatum) has cardamom-scented, poisonous fruits, used externally in Asian medicine. Its flower lacks scent and the leaves are a poison. Folklore: The seed and pods are used as a spice in Asian cookery, notably as an ingredient of Chinese five-spice powder. The Japanese Star Anise is revered in Japan and planted near Buddhist temples, where the bark is burned as incense.